The previous version of the revised plan was rejected by the Oak Ridge City Council in a 3-4 vote in January. That split vote against the plan came after planning commissioners and some residents raised concerns about the proposed changes. One of the primary concerns was whether the site plan was shifting from a mixed-use town center to what could mostly be a shopping center. There were also concerns about removing the access road between Rutgers Avenue and the roundabout; advocacy for more sidewalks, pedestrian connections, and parking lot changes; recommendations for open spaces, restaurants, and a “city center”; and opposition to a potential storage facility on Rutgers Avenue. In a series of meetings that included the January vote, Neil Wilson, principal of the development company, RealtyLink in Greenville, South Carolina, told Oak Ridge officials that retailers are “driving the bus” on this development, not him and not the city. At the time, four national retailers were reported to be interested in having stores at the site. Council members suggested next steps for the project in January, after the 3-4 vote against the revised plan. Those who had supported the revised plan had warned that rejecting it could affect funding for Oak Ridge and Anderson County governments and school systems by diminishing expected sales and property tax revenues, possibly in the range of several hundred thousand dollars. They worried about the impact on the city’s retail community, property tax values, and new housing developments. They called the project a “once in a generation” opportunity and said it could be a few decades before another similar proposal emerges. Besides the 10 stores already built and a few other businesses on nearby parcels, there is a Burkes Outlet store that opened Thursday, April 11, next to Electronic Express, and a building under construction by Walgreen’s. Like the previous version of the revised plan, the new version would allow four new stores to be built at Main Street Oak Ridge between PetSmart and JCPenney. To build that strip of stores, the access road that connects Rutgers Avenue to the roundabout at Main Street Oak Ridge would have to be removed. The revised plan would include future development areas along Rutgers Avenue behind the strip of stores between JCPenney and Burkes Outlet, the future mixed-use areas along Wilson Street, an open space area near Belk and Cinemark Tinseltown, and a bus drop-off area near the new American Museum of Science and Energy. An open space exhibit for the revised master plan for Main Street Oak Ridge. The Oak Ridge Municipal Planning Commission will discuss the proposed revisions during a work session on Thursday, April 11, 2019. A sidewalk exhibit for the revised master plan for Main Street Oak Ridge. 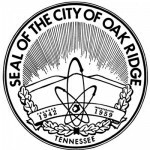 The Oak Ridge Municipal Planning Commission will discuss the proposed revisions during a work session on Thursday, April 11, 2019.